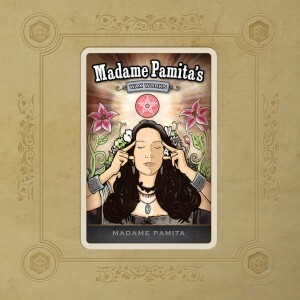 Madame Pamita has recorded these songs onto wax cylinder with equipment from the 1800s. Fans of Harry Smith’s Anthology of American Folk Music, Alan Lomax’s field recordings or what Greil Marcus likes to call “the Old Weird America” will be transported to the birth of recorded music when an evening’s entertainment meant surprises, amusements and a singular experience like no other! Come to the CD release party for this album April 1st, 9pm, @ Taix 3-2-1 Lounge in Echo Park! This entry was posted on Tuesday, March 3rd, 2009 at 7:44 pm. You can follow any responses to this entry through the RSS 2.0 feed. Responses are currently closed, but you can trackback from your own site.